Voodoo vengeance created Victor Crowley and it may destroy him too! When a drug lord engages the power of a voodoo priestess for revenge, something ancient and terrible rises from the swamp to kill Crowley and everything in its wake. It's a clash of swamp titans and anything in their path is fair game for the wanton slaughter to follow. 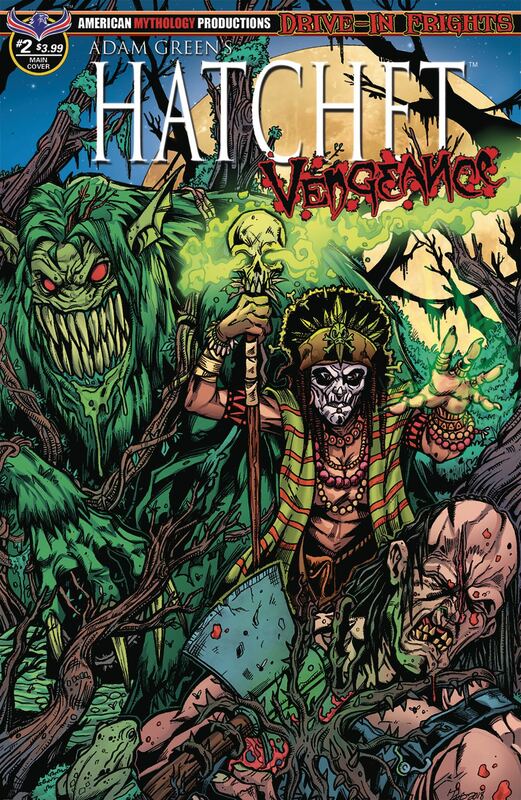 Hatchet Vengeance #2 comes with three covers - Main Voodoo by interior artist Puis Calzada, Curse of Crowley by Buz Hasson & Ken Haeser, and limited edition Bloody Horror cover also by Calzada.